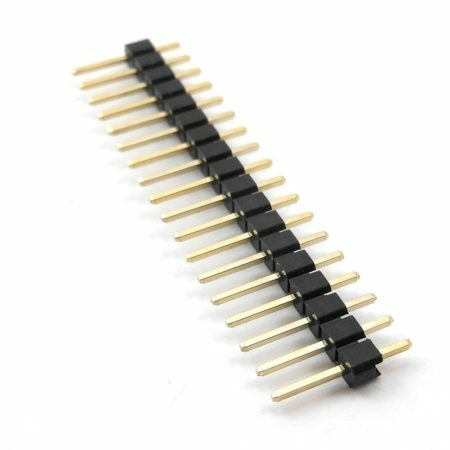 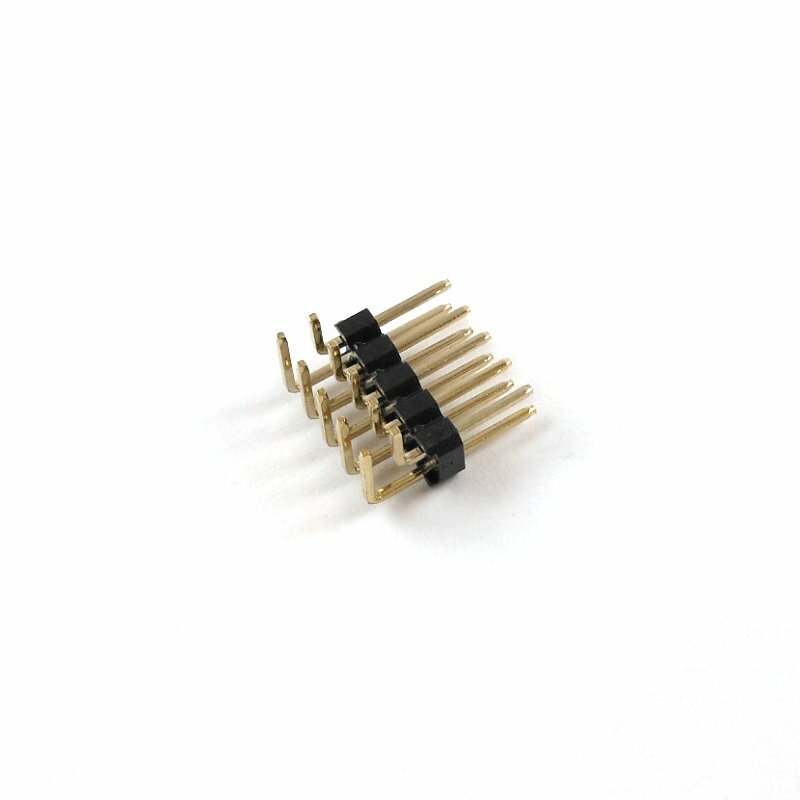 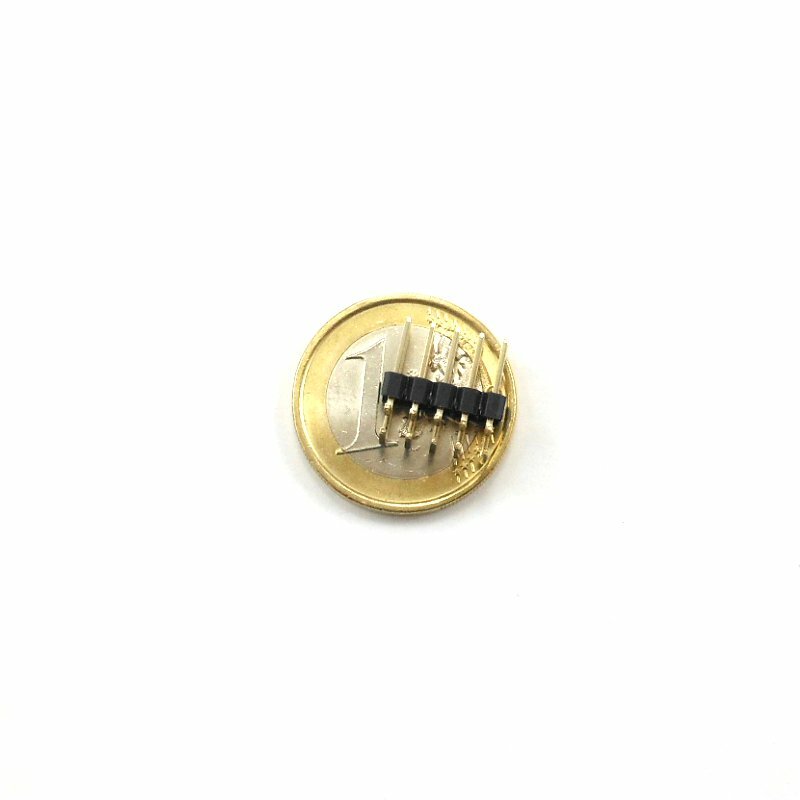 You are here: Home » Products » Components » Connectors » Headers » Header Male 2×5 Pins Right Angle – Pack of 5 pcs. 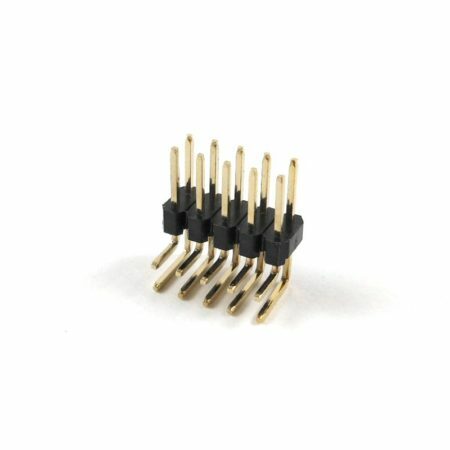 0.1″ (2.54mm) 2×5 pins male connector. 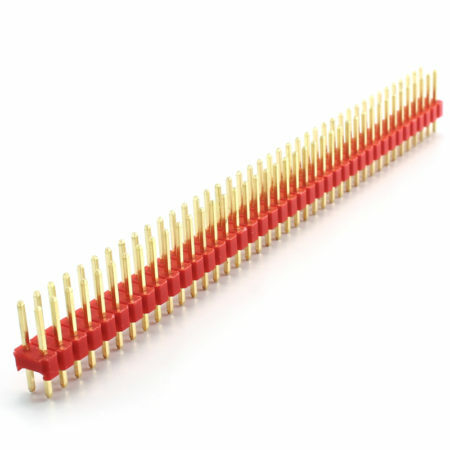 Right angle version. 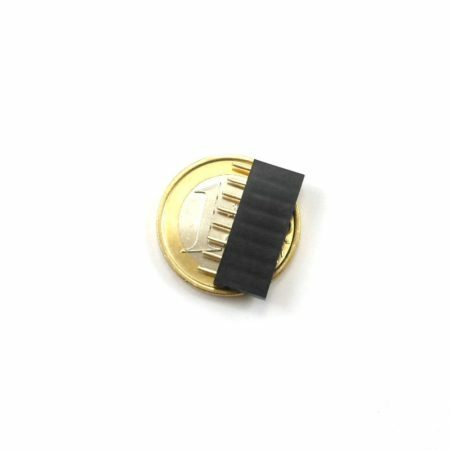 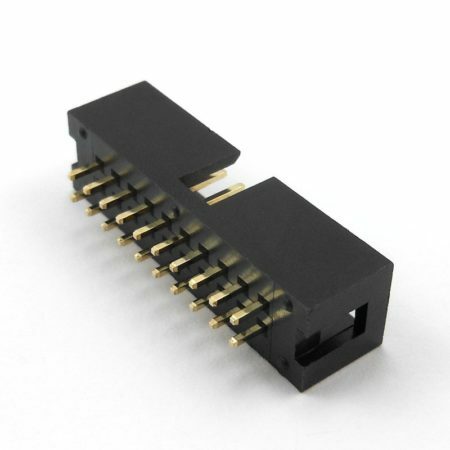 This is a standard 0.1″ (2.54mm) pitch connector, with 2 rows of 5 pins. 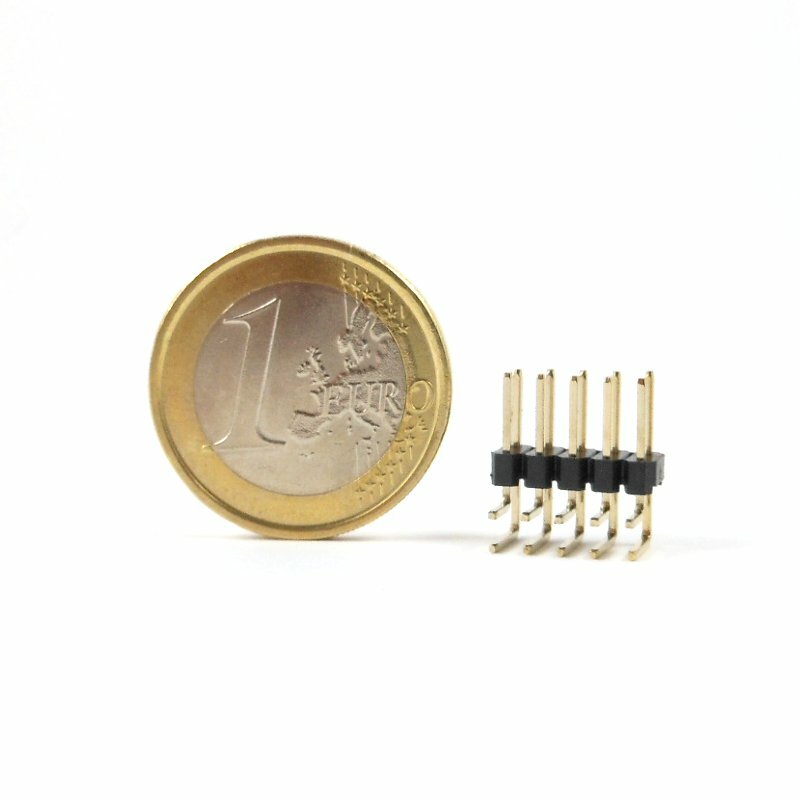 Right angle version.